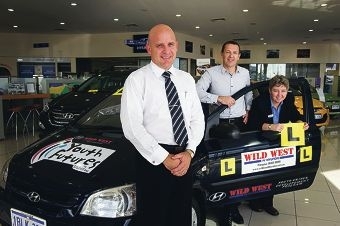 Youth Futures WA, which is based in Joondalup, recently received the car from Wild West Hyundai and will use it to teach students how to drive. Chief executive Mark Waite said the non-profit organisation already ran a ‘keys to employment’ program, funded by the Department of Training and Workforce Development, to help disadvantaged young people obtain their driver’s licences. ‘For many young people, a driver’s licence is necessary for employment and training opportunities,’ Mr Waite said. Balga SHS acting principal Melissa Gillett said the car company and Youth Futures were helping the school set up its own initiative based on the existing program.